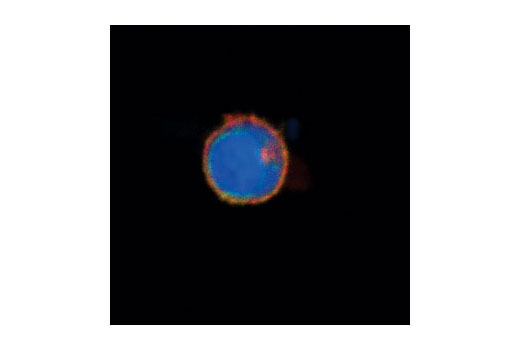 Background: CD74, which is also known as the MHC Class II-associated invariant chain (Ii), is a type II transmembrane glycoprotein that plays a critical role in the antigen presentation process as a chaperone of MHC Class II proteins. 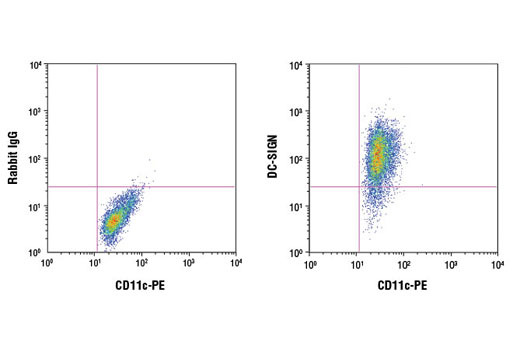 It is expressed at high levels on B cells and to a lesser extent on numerous antigen presenting cell (APC) types including dendritic cells, Langerhans cells, monocytes, and macrophages as well as non-traditional APCs such as epithelial cells (1,2). 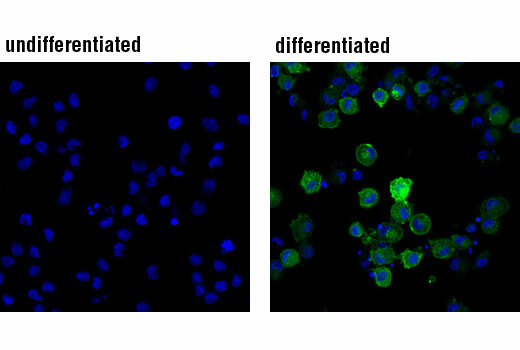 CD74 was initially identified for its ability to regulate the folding and intracellular trafficking of newly synthesized MHC Class II molecules. Following expression, CD74 self-assembles as a trimer that serves as a scaffold for the assembly of MHC Class II molecules. 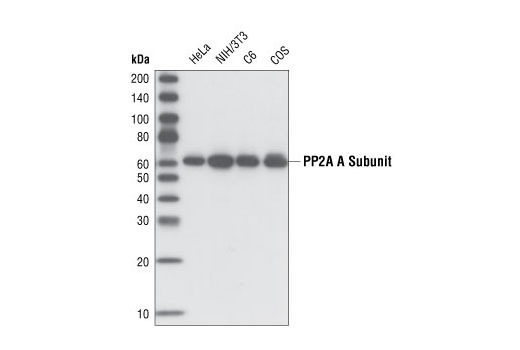 Through this interaction, CD74 blocks the peptide binding cleft of MHC Class II molecules and prevents their premature association with endogenous polypeptides (3). 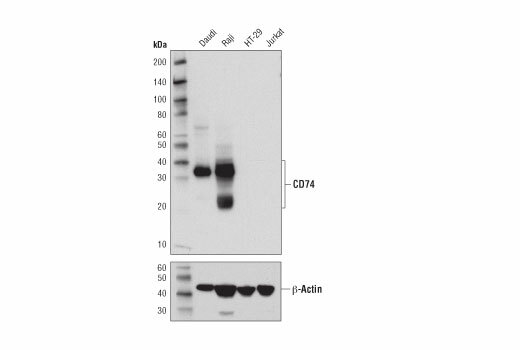 Binding to CD74 also facilitates the translocation of MHC Class II molecules from the endoplasmic reticulum to the endocytic compartments during antigen presentation (4). 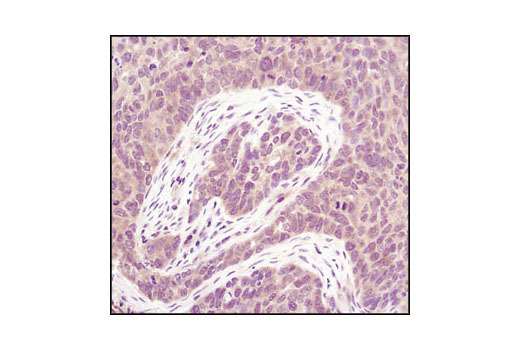 In addition to its role as an MHC Class II chaperone, CD74 is also the receptor for macrophage migration-inhibitory factor (MIF). 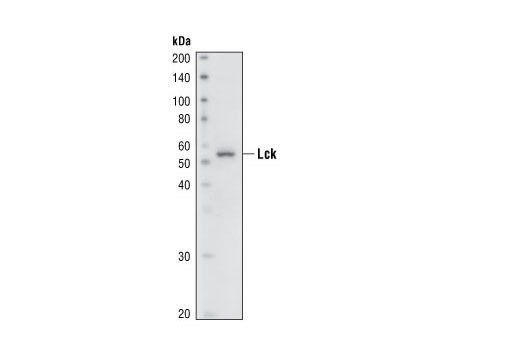 Binding to CD74 and its co-receptor, CD44, has been shown to induce the activation of the NFkB and ERK pathways to promote cell proliferation and survival signals (5,6). 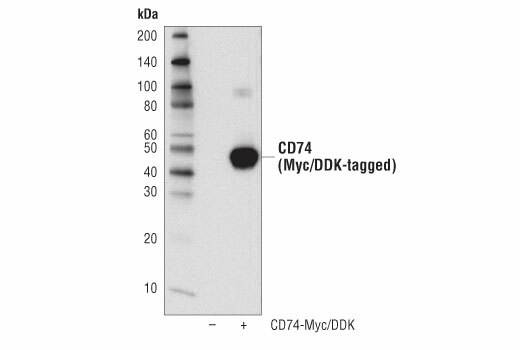 Recent studies have identified CXCR2 and CXCR4 as co-receptors for CD74 where MIF binding to CD74 complexes contributes to MIF-mediated monocyte chemotaxis and the induction of Akt signaling, respectively (7,8). 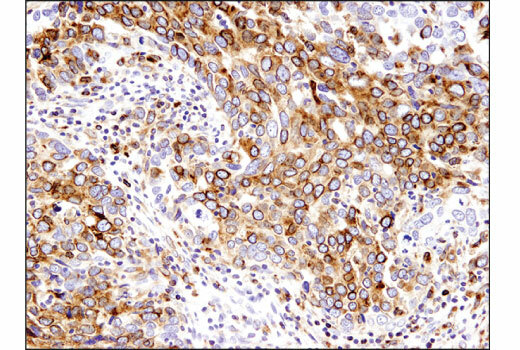 Increased CD74 surface expression has been reported under inflammatory conditions and in certain types of cancer cells implying a potential role in tumorigenesis (9). 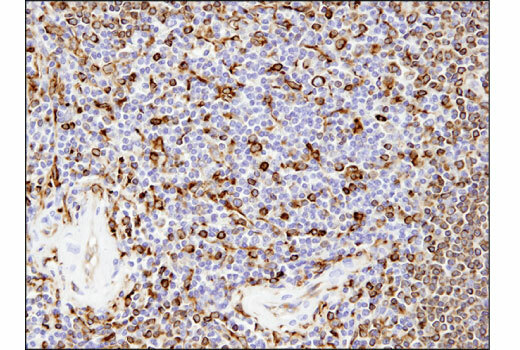 Background: DC-SIGN (CD209, CLEC4L) is a C-type lectin receptor expressed by dendritic cells (DCs) (1,2). The DC-SIGN transcript can undergo several splicing events to generate at least thirteen different transmembrane and soluble isoforms (3). DC-SIGN responds to a broad range of pathogens due to its ability to recognize both mannose and fructose carbohydrates, and is well studied for its role in HIV infection. Recognition of the HIV envelope glycoprotein gp120 by DC-SIGN leads to internalization of HIV by DCs and facilitates transmission of the virus to CD4+ T cells (2,4). DC-SIGN also mediates adhesion to T cells through interaction with ICAM-3, as well as transmigration across the endothelium by binding to ICAM-2 (1,5). 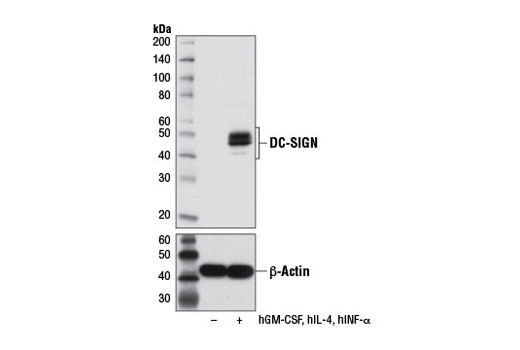 The DC-SIGN receptor can modulate TLR signaling by activating the kinase Raf-1 (6,7). 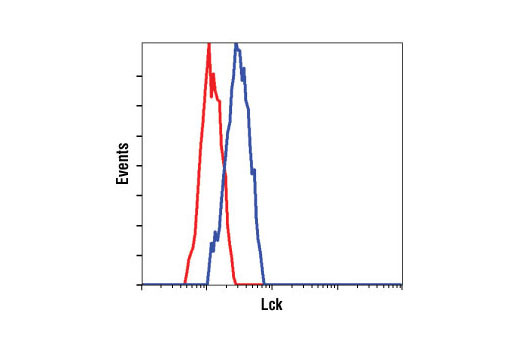 The closely related molecule DC-SIGNR (L-SIGN, CLEC4M) is 77% homologous to DC-SIGN and likely arose through a gene duplication event (8). 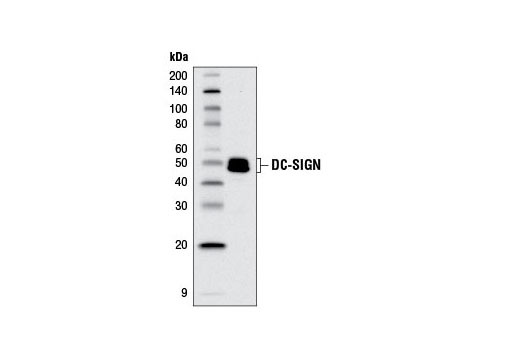 Like DC-SIGN, DC-SIGNR binds mannose carbohydrates on the surface of pathogens (8,9). 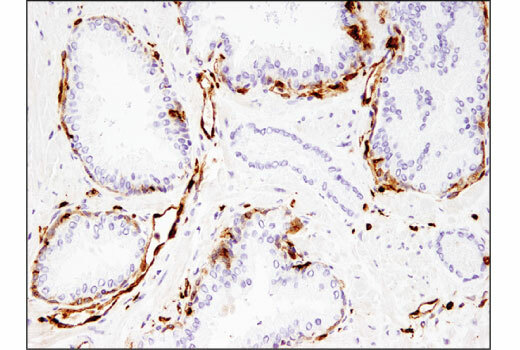 However, the expression patterns of the two receptors differ, as DC-SIGNR expression is restricted to endothelial cells of the liver, lymph node, and placenta (10). 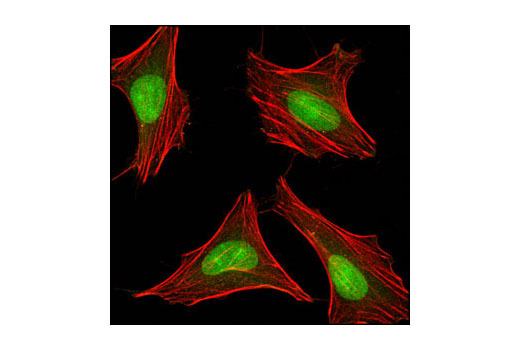 Murine cells contain a set of related molecules, SIGNR1-SIGNR8 (11). 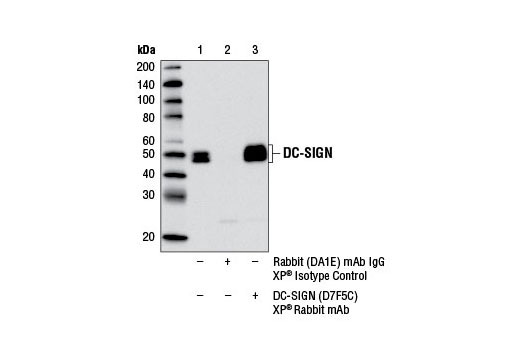 Based on sequence analysis, there is no clear murine ortholog to human DC-SIGN, however SIGNR3 is the most functionally similar due to its ability to recognize both mannose and fructose structures (11).